Earlier this year, WHO stated that 1.1 million young people are at risk of hearing loss due to unsafe use of personal audio devices. According to the WHO, loud music is the number one cause of preventable hearing loss. 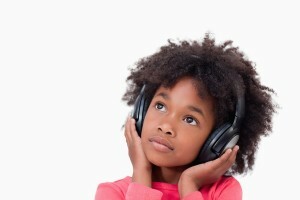 Research shows that the consequences of overexposure to loud music may be even worse than we think, especially for children. Earlier this year, WHO highlighted that about 1.1 million young people ‘are at risk of hearing loss due to the unsafe use of personal audio devices, including smartphones, and exposure to damaging levels of sound at noisy entertainment venues.’ Hearing loss has a significant impact on your physical and mental well being as well as educational and employment success. Doctors warn that the exposure of loud noises is harming a whole generation who have grown up in a loud society, where noise is difficult to escape from. Only two decades ago, children were the proud owners of a Walkman, which needed only two AA batteries and headphone thongs that went over the ears. Exposure time to music was limited and sounds were distorted. But of course, times have changed and technology has advanced. Nowadays the average 10-years old will know more about the functionality of a smartphone or iPad than how to change a light bulb – which is frightening in itself. Dr. Sreekant Cherukuri, an ear, nose, and throat specialist from Indiana, advises young people to stop wearing headphones, especially earphones. The latter are considered the most dangerous as the noise travels directly to the eardrum with the potential to raise the volume up to 9 decibels (repeated exposure over 85 decibels can cause hearing loss). Earphones were designed to filter less ambient noises, (for example the sounds of an approaching car), however, this feature has a negative effect since most will increase the volume in order to cover outside noise. Nicole Raia, a clinical audiologist at University Hospital in New Jersey says she sees more cases of tinnitus (ringing or buzzing in the ears, an early sign of hearing loss) in children than in adults. However, “we don’t ‘catch them’ until they are in their 20s and 30s”. This is because apart from some occasional ringing in the ears, there is no pain or other obvious warning sign of damage. Auditory neuroscience researchers have recently discovered that an individual can damage up to 90 percent of their cochlear nerve fibers but are still able to detect quiet tones. Incidentally, all hearing tests are based on the individual’s ability to hear tones in quiet. Hence, a problem occurs in that certain degrees of hearing loss, known as “hidden hearing loss”, are not identified in the early stages. Apply the ‘60 rule’: do not listen to music longer than 60 minutes a day, at no more than 60% volume. Get good quality headphones. Cheap ones usually don’t transmit the bass well, which results in turning the volume up to dangerously high levels. Some studies show that the intake of magnesium along with antioxidant vitamins may prevent hearing loss, so why not give your child a banana while enjoying their music? Use the parental control setting on mobile devices and music players to adjust maximum volume levels. Before children reach the “easily embarrassed” age, try encouraging them to wear ear protection if they are attending loud concerts or events.